The General Motors Chevy brand is going to be featured in five Super Bowl 2012 ads plus a music video. This is a huge push for the brand and GM is especially proud of the OG Go partnership. 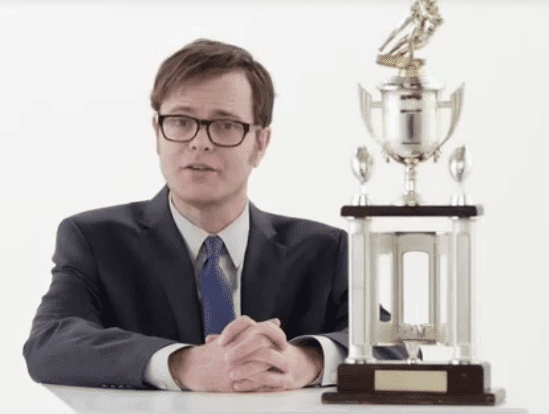 Chevy has already released all five ads online and is having them presented by comedian Rainn Wilson. We found out today that not all 6 (including OK Go music video) spots are airing during the Super Bowl Game itself. Some of the Chevy ads are airing in the pre-game and others in the post-game coverage. See the details of the Chevy Ad schedule below. The Chevy Super Bowl Ads feature the Chevy Sonic, Chevy Volt, Chevy Silverado and the Chevy Camaro. All 2012 Chevy Super Bowl commercials are excellent and worth watching. Some are very funny, while others feature cool action. Watch below Rainn Wilson introducing the Chevy Super Bowl 2012 Ads and then watch all 5 Chevy Super Bowl 2012 Ads below.